Porcelain inlays & dental crowns in about an hour! Replace that single lost veneer in about an hour! No more temporaries to worry about losing! With the use of a 3-D infrared camera, we image the problem tooth along with the surrounding teeth. 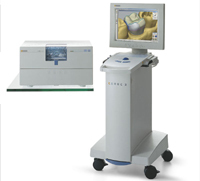 That information is fed into the CEREC acquisition computer, Dr. Widen designs the dental crown, inlay or onlay with the help of the computer. Once the final design is approved, the porcelain milling unit mills the restoration within 15 minutes. It is then tried in the mouth, bonded in place, adjusted and polished. You leave with a brand new porcelain restoration, without waiting 2 weeks for the lab to make it, gagging on impressions, a need for a second visit and worrying if that temporary will stay in your mouth. 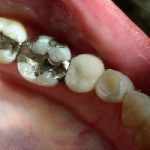 It is also great to duplicate a failing dental crown under a partial denture or replacing a single veneer that has been damaged or decaying. 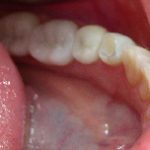 If you need work, CEREC may be an option for you. See my CEREC video below. Give us a call at 312-266-0044!